In the Game of TV Shows, you get renewed or you die. All in all, things have looked pretty good for TV, especially those shows of the super-powered variety.It was announced back in January that Gotham would get a second season, and it’s been a while since news about Daredevil getting second season…which – to be honest – has me hungering for more Marvel/Netflix collaborations. Can’t wait to see how AKA Jessica Jones and the other upcoming shows fare, given how well the Man without Fear was received. So, who else is coming back for another round? Whose stories will progress and expand? Well, continuing with Marvel shows, Agent Carter and Marvel’s Agents of S.H.I.E.L.D. will be getting another season each. 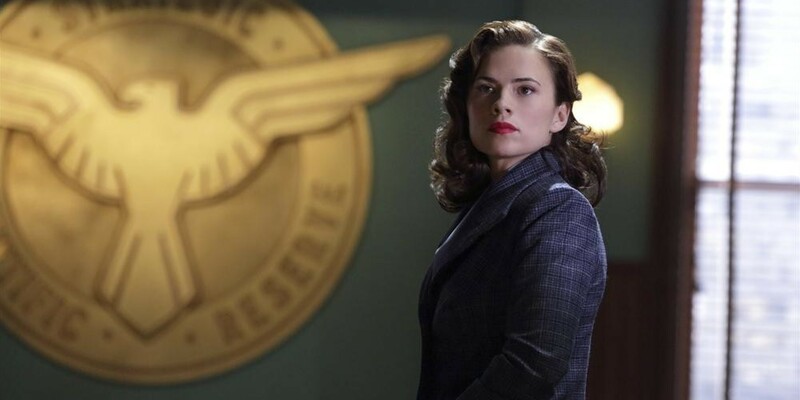 This is excellent news for lovers of the ‘vintage’ series, as we get to see more of Peggy Carter acting all badass – it was thought that the series might not be renewed, considering how despite rave reviews the series ultimately did not the best of ratings. Glad to see this isn’t the case, and cannot wait to see where the series goes from here. ONE MORE SEASON! ONE MORE SEASON! Also, let’s just say all the CW super-stars are coming into their own. Not only are The Flash, Arrow and iZombie getting another series (iZombie apparently didn’t pull is as many numbers as the other shows, but was still ppular enough for renewal), but they will be joined by none other than another addition to the Flash/Arrow universe – DC’s Legends of Tomorrow, which is set to look amazing as a team of heroes and villains must team up with time traveler Rip Hunter to fight an as yet unnamed immortal foe. Congratulations on the renewals, and can’t wait to see what happens next! Powers also receives an official renewal from the Playstation Network, given how well it’s premier did, and how well received it was. However, it will be losing showrunner Charlie Huston over “creative differences”. And Supergirl has been picked up by CBS. Not much else is known about the series, other than that promotional picture of the lead, Melissa Benoist, in her costume. Now, the unfortunate news of cancellations. First up,the Agents of S.H.I.E.L.D. spin-off that was going to star Adrianne Palicki (Mockingbird) and Nick Blood (Lance Hunter) has apparently not been picked up. This comes from the news that the spin-off has divided fans, as there had been some backlash to the idea of taking some of the strongest new characters on S.H.I.E.L.D. away from the mothership series. So, they won’t be pulling a DC’s Legends of Tommorow. Which actually makes me wonder – how will their commitment to the spin-off affect their characters in their respective shows? Will they run at the same time as Flash and Arrow, and have crossover episodes? However, there’s always hope; Cerone is looking to move it to another channel. Whilst it may not happen, I have my fingers crossed – maybe the CW will pick it up, and add it to their ever-growing DC universe. We’ve seen it grow to accommodate super-powered beings…what would happen if they discovered magic and demons?